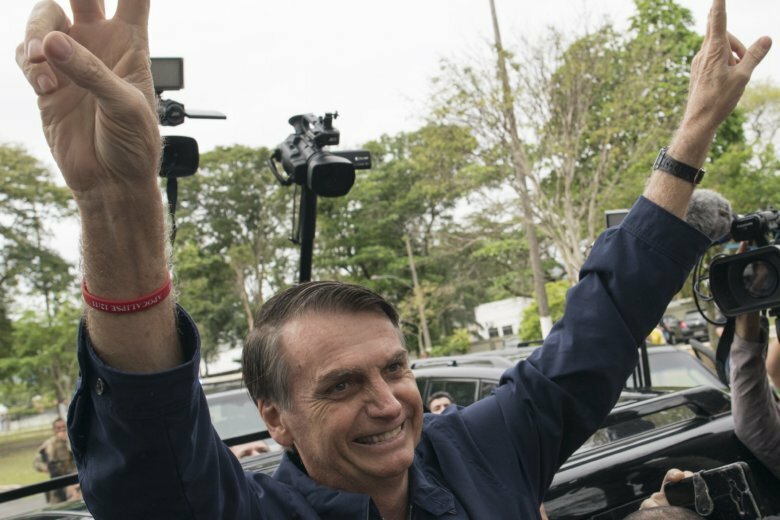 RIO DE JANEIRO (AP) — Far-right congressman Jair Bolsonaro won the first round of Brazil’s presidential race Sunday, doing far better than polls predicted and coming just shy of an outright victory. In the weeks ahead of an Oct. 28 runoff against former Sao Paulo mayor Fernando Haddad, Bolsonaro’s main proposals are sure to come under much scrutiny. Here is a look at what Bolsonaro has promised to do if elected. Bolsonaro has promised to carry out widespread privatizations in Latin America’s largest economy aimed at giving a boost to recovery from one of the nation’s worst recessions in decades. Bolsonaro has also said privatizations are necessary to eradicate the kind of state graft that has been rife in recent years. While the business community has largely coalesced around Bolsonaro because of these proposals, detractors have noted that as a congressman he often voted and espoused views that were the exact opposite. Bolsonaro has said he would sharply cut spending to confront an expected budget deficit of US$39 billion next year. He has also promised to cut taxes and simplify the tax code, though he has not provided details. He has sent confusing signals. When economic adviser Paulo Guedes, a banker trained at the University of Chicago, recently floated bringing back a bank fee, Bolsonaro said Guedes had been quoted out of context and that there would be no new taxes. Bolsonaro, who waxes nostalgically about the country’s 1964-1985 dictatorship, has said he wants to loosen gun laws to allow more people to be able to carry them in public. He has also said he would push to give police forces freer rein to shoot while on patrols. The idea of emboldening police, already responsible for high rates of shooting deaths, including Rio de Janeiro, has sent shock waves through poorer communities. Bolsonaro, who has a long history of offensive comments about women, blacks and gays, has repeatedly said he will return Brazil to “traditional values.” While he hasn’t specified what that might mean, many groups fear that he’ll seek to cut racial quotas in universities and curb rights of minorities, such as transgender people, who recently gained the right decide what gender to put on their national identification cards.